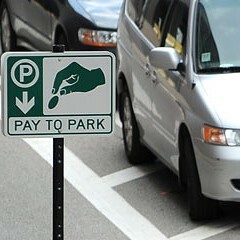 Chicagoans may have been hosed in the parking meter deal, but that doesn't mean it's illegal, a panel of appellate judges ruled. A panel of Illinois appellate judges won't dispute that Chicago's parking meter deal is a big loser for the city. But that's not enough to nix the deal in court, the judges said Friday. Ruling against a five-year legal challenge, the panel noted that the meter selloff may have been ill-advised but that doesn't make it illegal, especially since the city administration continues to claim that it provides "public benefits." In other words, the deal can't be dislodged in court while it's being defended by the city at the behest of Mayor Rahm Emanuel. "We certainly understand the argument made by plaintiffs that the concession agreement transferring the City's control of the metered parking system to [the private company] for 75 years should not have been so hastily entered into," the appellate judges wrote in their June 20 opinion. "However, arguments about why the concession was a bad deal for the City do not provide a basis for invalidating the concession agreement." It was the latest development in a lawsuit brought by attorney Clint Krislov on behalf of the IVI-IPO, a public-interest group. 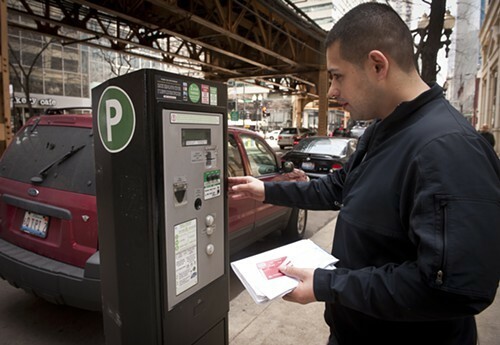 The suit was filed in 2009, just weeks after the city transferred control of the meter system to Chicago Parking Meters LLC, a consortium of investors, for 75 years. In return, the city received nearly $1.2 billion upfront. While CPM was allowed to jack up meter rates, the city doesn't get a dime of revenues for the next seven decades. And the city is also required to repay some of the money every time it changes meter locations or hours, or takes a metered space out of commission for street construction, traffic flow, neighborhood festivals, or any other reason. These "true-up" payments have already cost the city millions of dollars a year. In 2013, for example, CPM hauled in nearly $136 million from the meters, including $15 million from the city for true-up payments, according to a recent audit. The revenue total was more than five times higher than the $23.8 million the city collected in 2008, the last year it controlled the system. Krislov's suit alleged that the meter deal is unconstitutional on several grounds. For starters, he argued, the true-up payments represent an illegal transfer of the city's "police powers"—that is, its ability to regulate the public way. He also maintained that the length of this financial burden limited the ability of future city governments to enact traffic and parking policies. 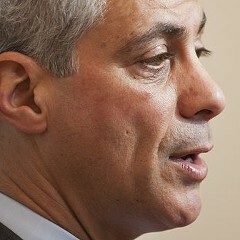 But the city joined CPM in fighting the lawsuit, even after Mayor Emanuel promised to pursue every avenue he could to get out of the agreement. They argued that the city still has the ability to do whatever it wants with streets and sidewalks, regardless of whether it has to pay millions of dollars for it. They claimed that the public "enjoys" the benefits of the privatized meter system, such as the new pay boxes that take credit cards. And they said that the private company now bears the risk that future revenues will fall off—even though CPM is on pace to recover its investment within the first 15 to 20 years. After a Cook County judge ruled against the suit in 2012, Krislov appealed. But the appellate judges upheld the earlier ruling, essentially saying that the deal can't be declared unconstitutional while the city argues that it serves a public purpose. The judges stressed that when the City Council approved the deal in 2008, the ordinance declared that it was "in the best interests of the residents of the City." Illinois law and court precedents "require us to defer to these legislative findings," the judges wrote. In short, the City Council, at the mayor's urging, already blew it—and then blew it again by locking the deal in place last year. The judges said as much by concluding with a word of caution: "We urge the City and the City Council to debate and act wisely in the future when seeking to ease the financial crisis." But Krislov says this isn't the end of his fight. "We will certainly ask the Illinois Supreme Court to review the case," he said.